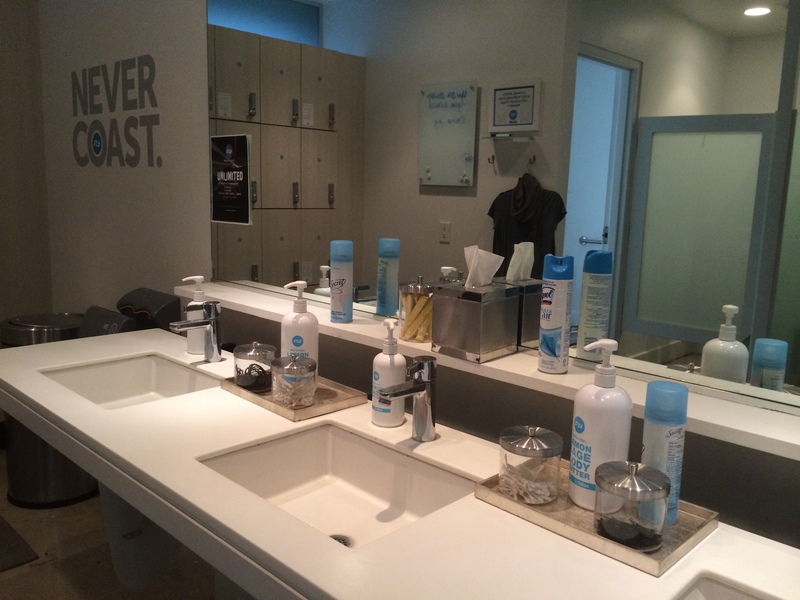 FlyWheel has such amazing studios with my absolute favorite bath products (Bliss) that I just HAD to add FlyBarre to my morning workout week—for the shower alone. 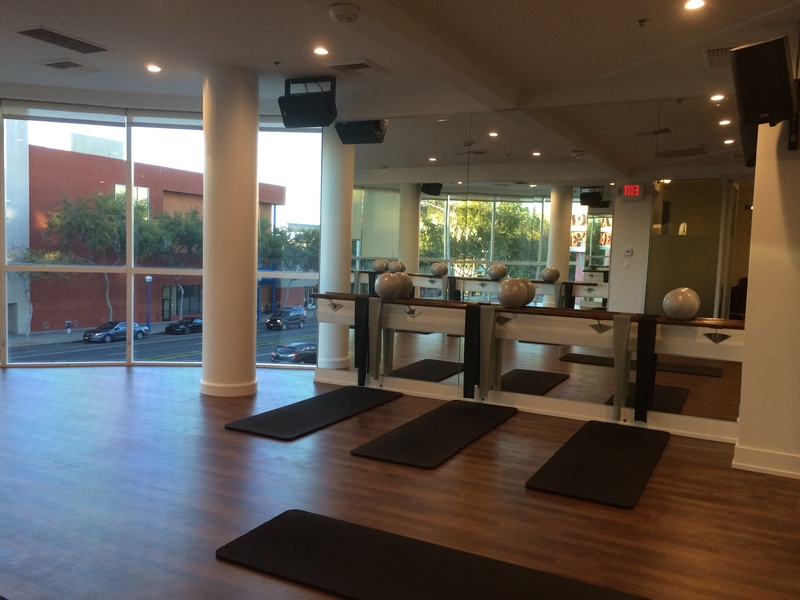 And, of course, I love trying new barre classes. When I signed up for FlyBarre through the site, I was asked to reserve a mat and quickly received a confirmation email detailing all of the information I would need to know before class. FlyWheel goes above and beyond to get all of the details right. When arriving at the studio, it can be a bit tricky to find the parking lot–just look for the Ramada Inn and take a ticket. The ticket can be validated inside of the studio but the morning I went there was free valet parking. I signed in on the computer with my username (I did not take this class through Class Pass), and went into the women’s locker room to store my stuff in the free lockers. After grabbing a complementary towel, filling up my water bottle, and picking up sets of 2 lbs. and 3 lbs. weights, I headed into the barre room and found mat #2. This class had a faster pace than most barre classes I have attended. Throughout the session we used two bands with different resistances, weights, and a ball. We stayed on our mat the entire time, moving quickly from planks, side planks, and push-ups, to crunches using the resistance band. The arm exercises were called “electric arms” because we were basically dancing with weights. Throughout class we focused on isolating different muscles. We did a lot of pulsing and squeezed the ball between our legs while doing leg lifts to the front, back, and side. Using the bar, we stood on our tippy toes and pulsed up and down for what seemed like eternity. Lastly, we came down on the mat for ab work. Keeping our shoulders off the mat the entire time, we did leg lifts, scissor kicks, crunches, and lower ab work. We finished with some stretching and then I quickly headed back to the locker room. Trust me, bring a change of clothes and take a shower!! It is like being on vacation. They have Bliss Spa Lemon + Sage shampoo, conditioner, body wash, and lotion, along with full size towels. I left that place smelling incredible and feeling rejuvenated. 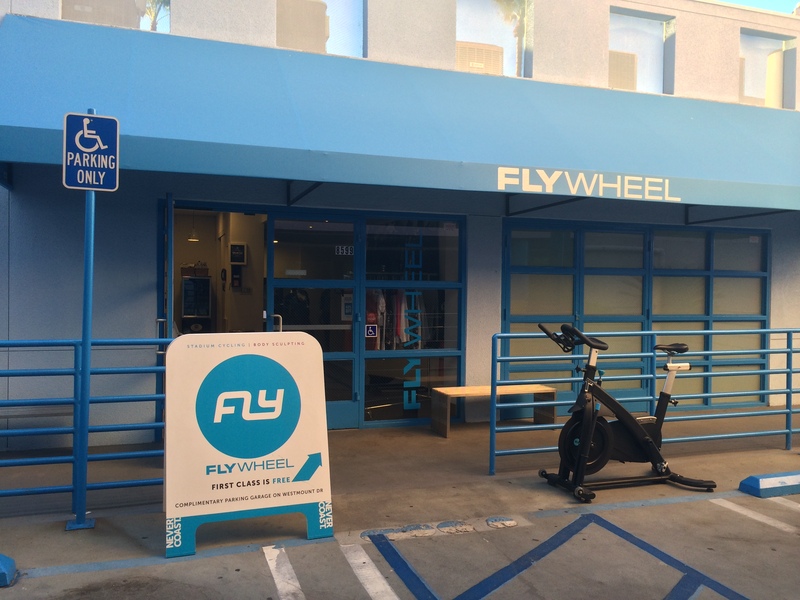 Check out my Flywheel review for more post sweat tips. There are only two showers so head to the locker room quickly after class or you might have to wait in line. Reserve a mat close to the teacher. The music was loud and she demonstrated the moves from her mat so it’s best to be as close as possible. 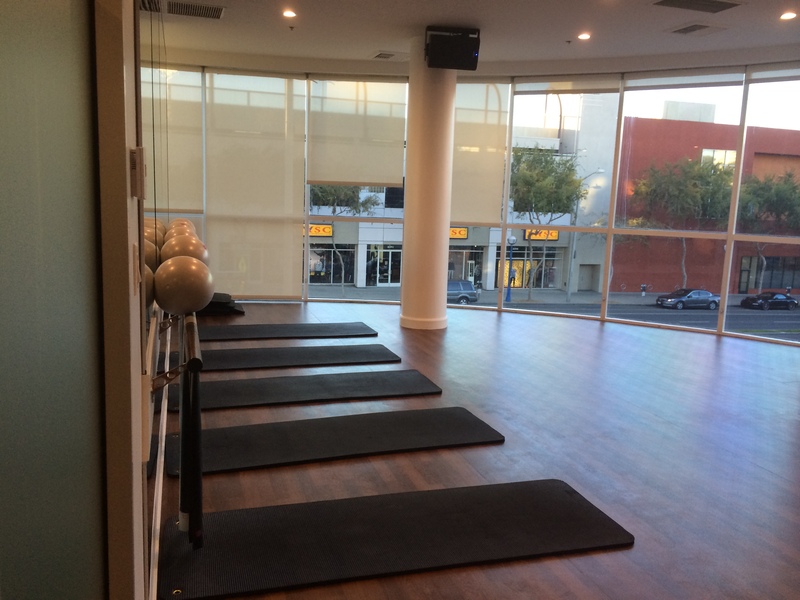 I wish they had FlyBarre in the Bay Area!